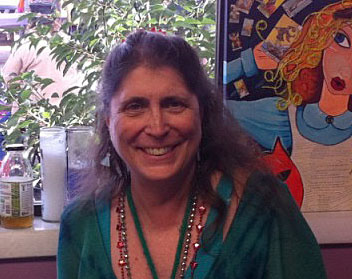 Internationally noted astrologer and spiritual counselor, Dikki Jo Mullen, has authored numerous published articles. Currently Dikki Jo’s features and detailed astrology forecasts appear in The Witches’ Almanac and Dell Horoscope publications, available in fine book stores everywhere. She is the author of seven books including “Koo Hollie and the Corn Goddess Chronicle” a metaphysical allegory and adventure story which doubles as a text book about astrology, ghost hunting and much more. Dikki-Jo writes under a number of nom de plumes, including Esther Neumeier, Elaine Neumeier, Esther Elayne, Mother Ollmann, Grania Ling, Dana N., Ms. Luna Sunshine, Laurie Bell, Koo Templeton, Catie Saltmarsh, Kathryn Mueller, Leslie Ford, Sue Leroy, Marina the Gypsy and Marina Bryony. Dikki-Jo offers presentations for groups. Tarot, Ghost Hunting and Paranormal Investigation, Astrology, Tea leaf Reading and Crystal Gazing, Seances, House Blessings and Space Clearing, Native American spirituality and Runes are among the topics available.